What key demographics are targeting your social media channels for customer support? In short, each key demographic from Gen Z to Millennials to Baby Boomers represents a large share of your potential audience. A Kitewheel study reveals that 48 percent of customers are inclined to interact with support on social media channels, with 23 percent over email. Considering the value of the online shopper – in the US alone, online sales are expected to reach $523 billion in the next five years, up 56 percent from $335 billion in 2015 – it is imperative that we learn to understand the people who are reaching out to our companies over social media. There are some universal expectations between each key social media demographic who is interacting with your customer support on social. 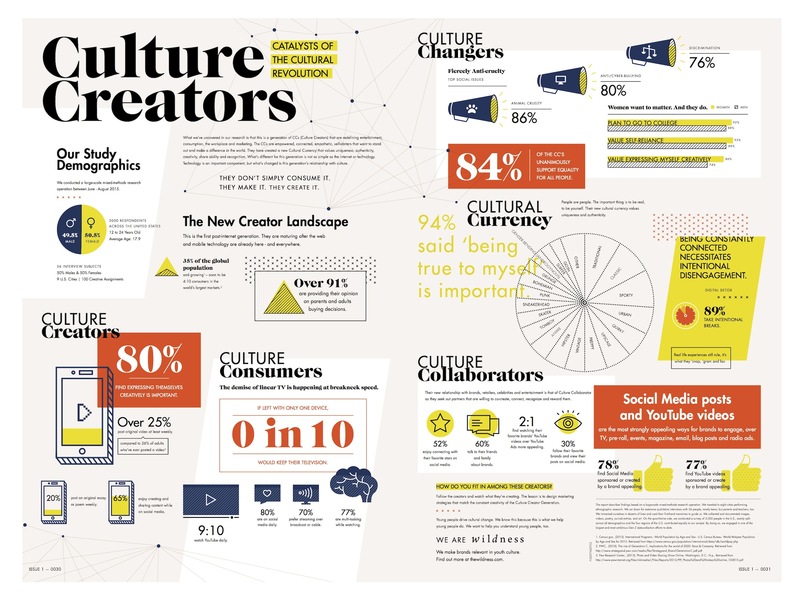 By recognizing the behaviors of your key demographics, you can identify any similarities that exist between different online communities and work towards amplifying their experience of your company and the support that you provide. 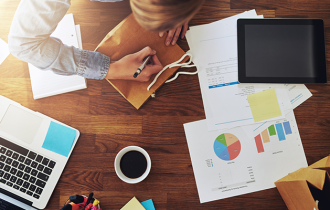 While Baby Boomers had been associated with material and financial motivations, Millennials have been more inward-looking as a result of their formative years taking place during a recession. Millennials are more focused on loving what they do and enjoying the journey, rather than prioritizing financial rewards. 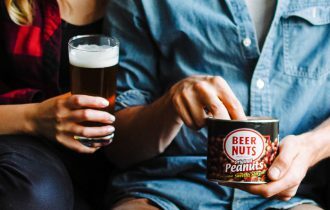 They appreciate the origins of the brands they support and like to feel they know them. This attitude has informed the sensibility of the next social media demographic, Gen Z, who have picked up the cultural shift and are focused on the greater purpose of people and brands around them. Their concern is with values of social responsibility and transparency among others. Gen Z have been surrounded by technology, and they recognize the importance of being human. 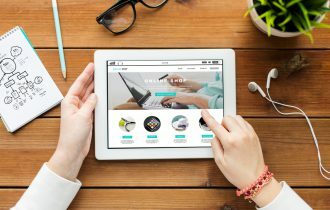 Online shoppers are a savvy bunch and they are fully aware that they will get a reaction from a company if they announce their queries or frustrations to a public audience. Not only do they expect a faster response on social media, as opposed to other channels of contact, but they are conscious of the harm that a delayed or failed response will do to a brand. They are confident that they will receive a more favorable resolution in public than in private correspondence. Social media also presents an immediate convenience that suits the habits of the ‘always on’ consumer. Ensure that you pay your customers the attention they deserve and make the effort to get to know them. As we have seen before, businesses have been failing their customers on social. Take the opportunity to outpace your competitors and get a head start on creating a great support experience. The social media community allows us to see a wealth of information about our customers. You can discover what their interests are, how they speak to their peers and how they communicate with other businesses. Understanding the nuances of the key demographics will help you and your support agents to better attend to their needs. All the information is there for us to see, we just have to take it and appropriate it to our own business needs. Although Millennials only make up 26 percent of the population, they hold the highest value, contributing to 35 percent of overall retail spend. 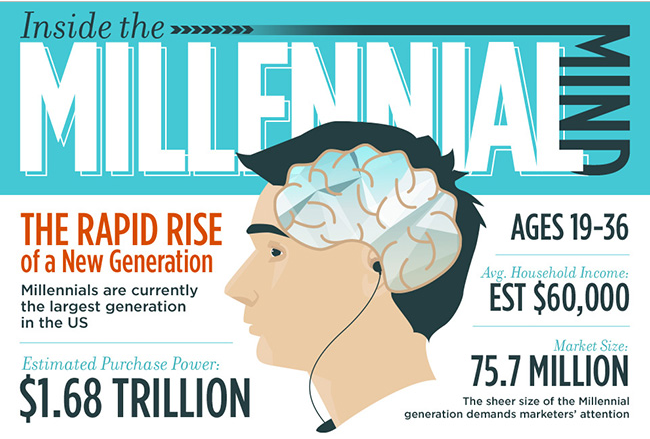 Millennials spend more money each year than any other demographic. Online sellers who recognize the value of maintaining a good relationship with this audience will thrive. 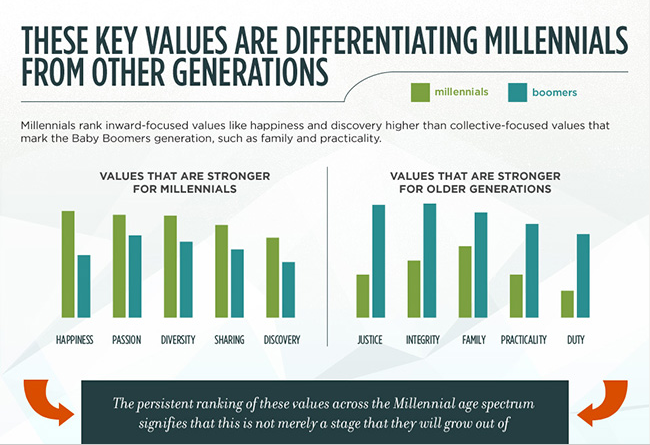 Generation Millennial is tech-savvy, highly connected on mobile devices and social media, and hold a great deal of influence over their peers. They are known to have high expectations and ambitions. They also expect a return for their investment in brands. Millennials dominate the retail landscape and are changing the face of eCommerce customer support. They are more likely to share a negative experience than any other generation of consumers. The social media demographic is known to abandon a relationship with a brand for failing their needs. Since Millennials take heed in their peers’ opinions, they will be dissuaded from a brand if they encounter negative reviews. Millennials want to identify with a brand when making a buying decision. In order for that to happen, you must first identify with them and listen to understand how you can anticipate their needs. Gen Z is the new emerging customer and this social media demographic is soon to take over the consumer market. Despite having very low incomes, they spend nine percent of their income online. 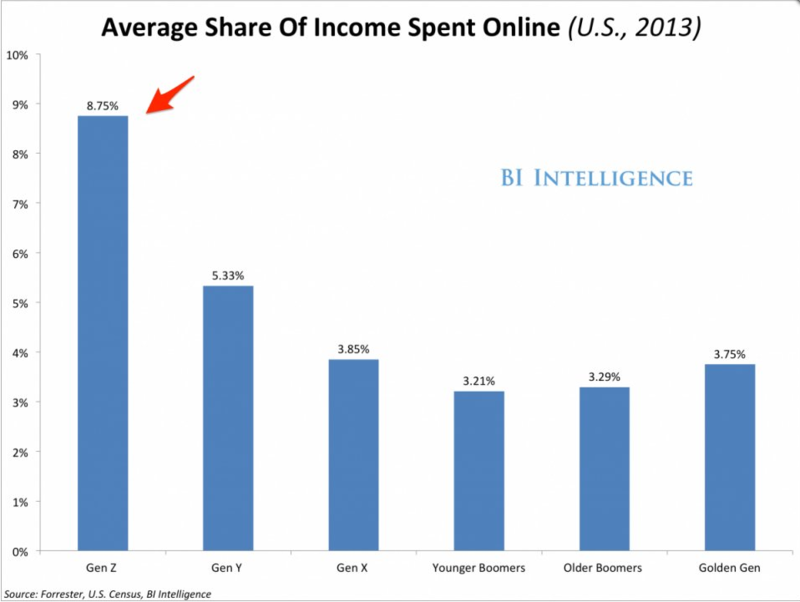 This is the highest share of income spent online amongst any demographic. They are the first generation of pure digital natives and use technology to learn, inform and socialize. Forrester studied the average share of income spent online by US consumers, by age demographic. The study reveals that Millennials are the ones to impress, especially if they have the most demanding expectations. However, considering Gen Z’s output of income into the consumer market, the results demonstrate that Gen Z are the ones to watch out for when considering future plans for your business, or indeed if they are your target customer. By 2020, Gen Z will represent 40 percent of all consumers. It is essential that you can provide a multi-channel customer experience for this demographic. Be ready, they will want to contact your support team wherever they are at the swipe of a screen – and why shouldn’t they? A successful support experience is convenient and easy for the customer. Between Millennials and Gen Z, the younger social media demographic is bringing support out from the darkness and into the light. The future will be an online buyer’s paradise. Fear not sellers, you too can enjoy the evolution, by reaping the rewards from your happy customers. The information that you provide to this generation should be short and snappy, due to their ‘highly evolved eight second filters’ for consuming information. Customer support agents need to get to the point when communicating resolutions to this audience, but you should also anticipate their needs and provide FAQs and easily attainable support resources that allow them to independently resolve any issues. Like Millennials, Gen Z will seek out the opinions of trusted peers for an impression of a brand. This is where positive feedback and a great rapport with your customers is integral to growing your business and winning over the loyalty of your customers. The older social media demographic Baby Boomers and, slightly older, Seniors are not just shopping in brick and mortar stores – they are actually pretty mobile savvy. While they may still have security fears for interacting with companies and sharing personal information on social media, they have adopted mobile commerce. One in four mobile shoppers in the US is over the age of 55, a statistic that is almost on par with the generation’s overall share of the US population. Forbes state that Baby Boomers spend more on technology than any other demographic. One in five Baby Boomers use social media, with 53 percent on Facebook. Of this social media demographic, those who are aged 50 and over, spend more time on the Internet per month than Gen Z. Baby Boomers were born at a time where customer support interactions were face-to-face, or over the phone, and certainly speaking to a real human being. This generation values companies who reach out to them on a personal level, with a customized experience that shows respect for who they are and the business that they are bringing to your company. 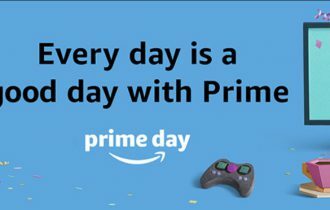 They also love a good deal and will actively seek loyalty rewards programs from the companies with they do business with. There is one palpable connection between each social media demographic. One connection that every social media demographic seeks – the addition of a human element to their customer support experience. For online sellers to succeed and enjoy the journey along with your customers, it is essential for you to understand your audience and develop meaningful relationships. We want to exceed customer expectations but the most important message is to make customer support easy. Social media is a fast and convenient method of making contact with brands, and judging by the amount of people interacting with support on social, it is imperative that you can meet them where they are.